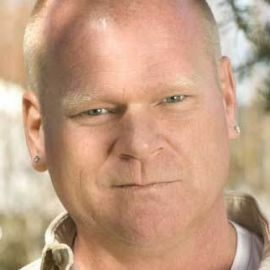 Named Forbes "Third Most Trustworthy Celebrity" and Reader’s Digest’s "Second Most Trusted Canadian"
Mike Holmes is a professional contractor and the host and creator of the hit TV series Holmes on Homes®, Holmes Inspection and Holmes Makes It Right. After working in the building and renovation industry for more than 20 years, Mike was asked to develop and host his own television series, Holmes on Homes®, which became an international success and broke ratings records, solidifying Mike’s career in television. Since then he has been able to use television as a tool to educate homeowners on proper building code, what to look for in contractors and their rights as homeowners. With over 35 years experience as a professional licensed contractor, he has completed over 220 home renovations and remodeling disaster projects and 52 home inspections throughout his television career. His record breaking, award-winning series and specials are seen in over 90 countries worldwide. As one of North America’s most trusted contractors his no-nonsense approach has struck a cord with television audiences and industry leaders world wide, leading him to be named Forbes’ Third Most Trustworthy Celebrity and Reader’s Digest’s Second Most Trusted Canadian. Mike Holmes has built an international brand based on quality, integrity and trust and his Make it Right® philosophy for the past 15 years. His no-nonsense, Make It Right® approach struck a chord with television audiences worldwide, leading him to be named Forbes’ Third Most Trustworthy Celebrity and Reader’s Digest’s Second Most Trusted Canadian. Today fans can watch Mike do what he does best in his new series, Holmes Makes It Right. For availability and speaker fees, please contact Mike Holmes ’s speaking agent at Chartwell here, or call +1 972 385 1021 for U.S. inquiries or +44 207 293 0864 for international inquiries.